Breaking: Nokishita leaks upcoming Canon Full-Frame mirrorless body and lenses! Home / cameras / canon / news / Breaking: Nokishita leaks upcoming Canon Full-Frame mirrorless body and lenses! Nokishita leaked the Nikon Z series cameras before it was announced and has done so again with the upcoming Canon Full-Frame mirrorless camera and lenses! 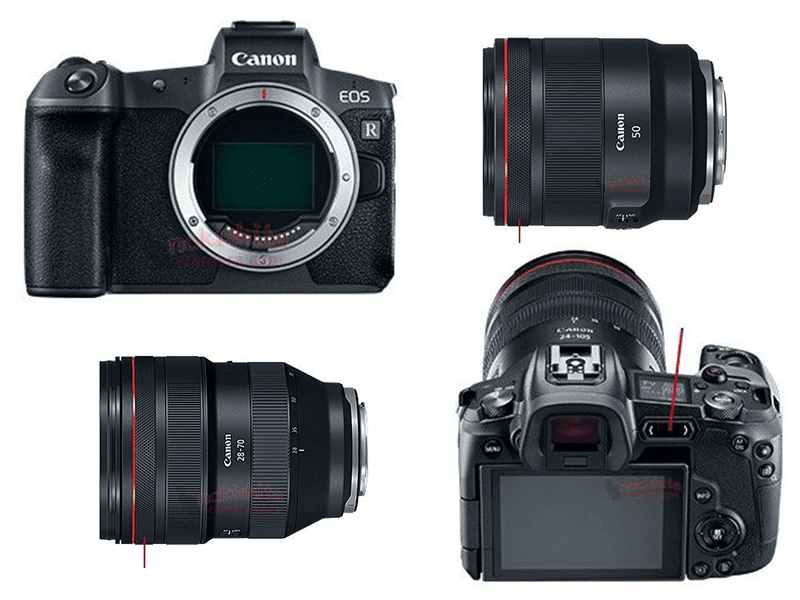 The upcoming Canon EOS-R and lenses! Nokishita has built up a track record because of the accuracy of their leaks. This was reinforced with their correct information about the then to be announced Nikon Z series mirrorless cameras. This time, Nokishita says the upcoming Full-Frame Canon Mirrorless camera will be called the "EOS-R" and will come with a 30.3 Million Pixels Full Size CMOS Dual pixel CMOS sensor. The Autofocus can focus up to -6 EV low light. There will be 4K video built-in. The display is a Touch LCD at the back and a secondary display on top. There is a a surprising multi function bar at the back. It has support for WiFi and Bluetooth inside a magnesium alloy body that is dust and water resistant. It uses an LP-E6N battery and is compatible with a grip. The measurements are 22 x 136 x 98 mm and will weigh at approximately 580 grams. The leak also says that it will be announced on September 5 or 6 depending on the time zone. What do you guys think? Are these legit?